To find out which management methods are preferred by dentists in Finland for a deep carious lesion or a pulp exposed during carious tissue removal in adult patients. An electronic questionnaire consisting of 25 questions was sent to 1000 randomly sampled dentists in Finland. The response rate was 32%. Less invasive excavation strategies (stepwise or selective removal) were preferred by 64% for an asymptomatic deep lesion, while 34% chose nonselective removal to hard dentine. In the presence of an asymptomatic pulpal exposure, vital pulp therapy was preferred, as 71% of the respondents chose direct pulp capping (DPC) or partial pulpotomy, compared to root canal treatment (26%). Mineral trioxide aggregate (MTA) and calcium hydroxide-based materials were both chosen by 40% for vital pulp therapy. In the management of a deep carious lesion, less invasive excavation strategies were significantly associated with having clinical guidelines vs. no guidelines at the practice [odds ratio (OR) 3.5, confidence interval (CI) 1.4–9.0]. MTA was favored over other DPC materials significantly more often by those who had attended continuing education courses during the last 3 years (OR 2.8, CI 1.2–6.5). Less invasive management strategies have been adopted into clinical practice by the majority of dentists in Finland. There is a need to encourage the use of MTA in the case of a pulpal exposure. The results of this study can be utilized in continuing education, to raise awareness of management strategies supported by present scientific evidence. The online version of this article ( https://doi.org/10.1007/s00784-018-2556-1) contains supplementary material, which is available to authorized users. The authors would like to thank Dr. Hannu Vähänikkilä for his kind advice on statistical analysis. 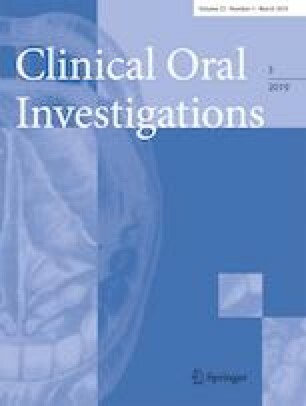 This study was supported by the Finnish Association of Women Dentists. For this type of study, formal consent is not required, as by replying to the questionnaire each respondent showed their willingness to participate.